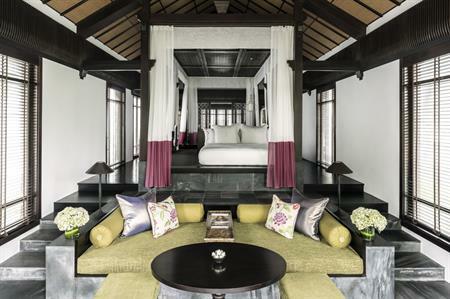 Four Seasons Hotels and Resorts will open The Nam Hai, Hoi An resort in Vietnam this December. Situated on Ha My beach, the resort has a host of new features since becoming part of the Four Seasons portfolio. The resort contains 60 newly-renovated villas with access to the beach, in addition to 40 pool villas with one to five bedrooms and access to a private pool. There is also an enhanced beach programme, plus a new beach bar with views of the Cham Islands, a new concept for its lagoon spa, and a Vietnamese cooking academy. Two restaurants and an indoor lounge will serve a mixture of international fusion dishes, Indian cuisine and traditional Vietnamese food. Just a half hour from Da Nang International Airport, Four Seasons Resort The Nam Hai is close to three spectacular UNESCO World Heritage Sites including Hue’s imperial city, the temple sanctuary of My Son and the enchanting village of Hoi An.